As a long-time comics fan and someone with a very extensive comic book collection (in print and in digital form), one of my least favorite experiences is having to deal with gatekeepers in comic book culture — creators, fellow fans, and comic store staff — that think that comics belong to boys and quizzing fans on their knowledge is a valid way to “save” the industry. 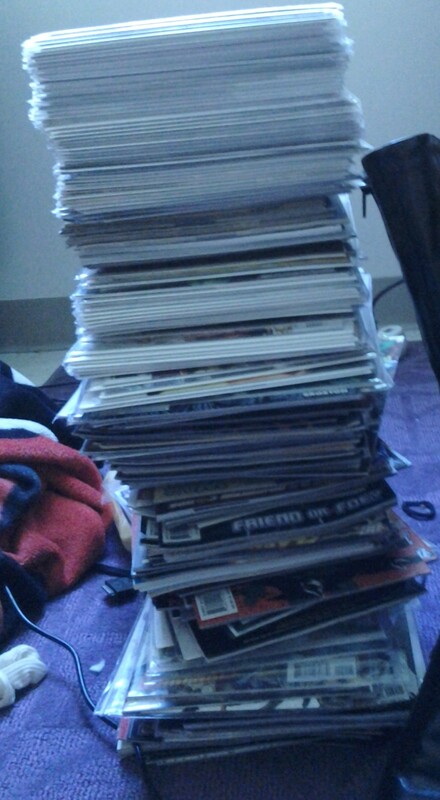 Within weeks of seriously collecting comic books, I had over three hundred. And yet I get tested on my nerd knowledge on a regular basis as if faking my interests is in anyway logical. From July through December of 2014, I was out of the country. I was 1100 miles away from everything that was familiar to me and a good thirty-minute flight away from the nearest comic book store (in Puerto Rico of all places!). I was on an island with no bookstore, one movie theater, and RadioShacks that didn’t even sell video games. You’d think that I’d be able to get away from the unpaid and unasked for gatekeepers of comic book culture on an island like that right? Even on that island, I had to deal with unwanted comic book gatekeepers testing me to make sure that I belonged (and hoping that I didn’t) and it sucked. Normally, when you’re asked if you’re good at something or if you like something, you’re not immediately asked to prove yourself. I keep having that happen to me. It happened on that island, when I was having lunch with my friend (he doesn’t see it that way but then he doesn’t get asked to recite dates/lists/appearances of superheroes on command to prove that he likes them “for real” so I get that he wouldn’t see it that way). I’m just so tired of gatekeepers thinking that they need to protect a “dying” genre. If I’m in the comic book store or talking to you about comics, chances are that I already like comics. If you don’t know me, then you don’t know what I did in college or how many comic books I own or how many comic books I’ve read. Getting in my face about what I’m buying or what you think I should know isn’t going to help anybody. All it does is get real annoying, real fast. One of these days, I’d like to be able to talk about comics without having to pull out my nerd credentials at every point. One of these days, I’d like to get through a conversation about comics with a dude that doesn’t leave me feeling as I don’t belong or as if I have no reason claiming the title of a “comic fan”. One of these days, I’d like to get to feel as if I don’t have to prove myself to any average Joe on the street about whether or not my knowledge of comic books is good enough to be taken seriously as a fan and scholar. Other times you get it from guys around the store if you’re wearing superhero merch. Other times, you get it from the guys in line with you. You’d think, that what would be important (if you’re oh so protective of the superhero genre and the comics industry) is to get more people buying comics regardless of what they’re getting. Especially if you run a comic book store. 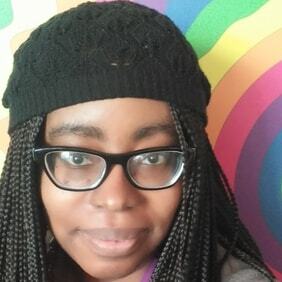 When you ask a lot of ladies (and anyone that looks femme or feminine in any way) about their experiences in comic book stores, chances are that it’s not going to be a good story. Like… I could go on. These things and more have happened to my friends and me at various comic book stores across South Florida. I’ve had dudes sneer at me as I went through the back issue bins hunting for specific books. I’ve had my choice of comic torn apart verbally and loudly while I was waiting to pay for it. I’ve gotten dirty looks while asking for a specific issue (especially if I’m not 100% sure about the issue number which happens, numbers are hard for everyone!). Depending on how I’ve been dressed, I’ve had my opinions dismissed or snarked at. At this point, there’s honestly only one comic book store in South Florida where I feel comfortable sharing my thoughts at (and fun fact, it’s not the one where I had been going to regularly since I was eleven). And I have friends who’ve had worse. Friends who like manga or wear dresses or who are seen as “girly” who can barely make it into the front door of comic book stores down here without dirty looks or muttering about what they look like or how they think that they’ll only be buying manga instead of comics. I know plenty of people who have stopped going in to stores to get their comics and who order them from Midtown or Comixology because dealing with hoards of gatekeepers (some of which, by the way, are the very people that are making money off of your purchases) just to get your weekly comic needs met isn’t worth it. And despite the fact that alienating fans based on gender is a terrible idea… these gatekeepers think they’re saving the genre when really… they’re not. I once had a comic artist and writer I once really admired dismiss me at a convention. Seriously! After I greeted him and said “I love your work! I’ve been reading it for like forever” (because I was 21 and forever was anything longer than a few years), he looked me up and down, taking in my low-cut costume and high heels, and said “Sure you have” in the most dismissive tone I had ever heard. Do you know that I’ve never read this guy’s work again? Because he made it very clear that I was not his audience, that he didn’t want me reading his comics, and that little reminder is burned into my memory. Gatekeeping in comics helps no one. Dismissing readers for having breasts or for being feminine or for not being you when you were a teenager or young adult doesn’t help anyone either. What gatekeeping does do is frame comic book culture as inaccessible to everyone that wants a piece of it. 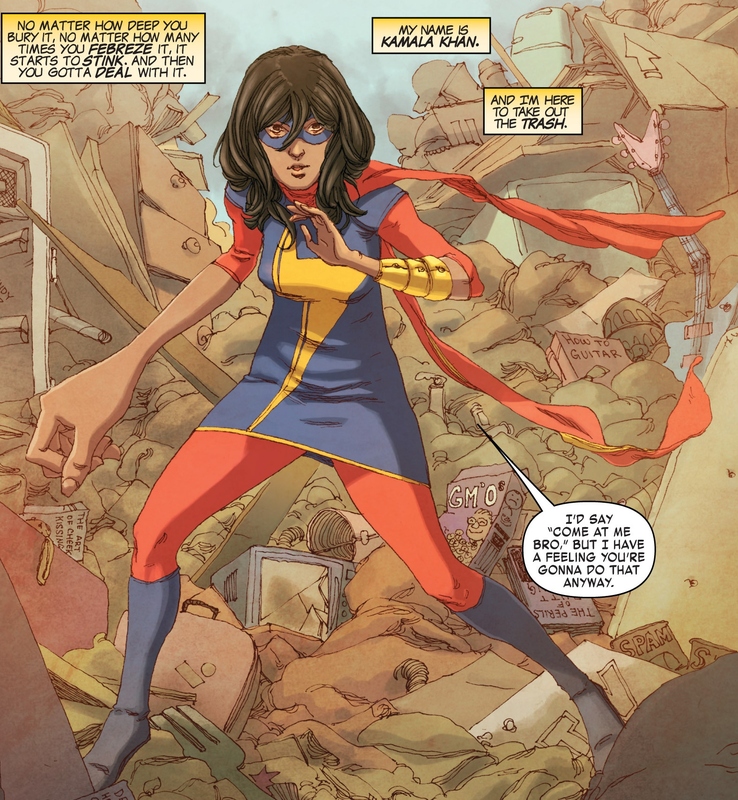 You see, it’s “pandering” when a female character (especially a teenage one) is fully clothed in a comic book — or when readers have the gall to be HAPPY about that! Not when a massive chunk of the industry puts out hypersexual images of women and girls to appeal to a specific type of dude reader! It goes “oh you’re not a dude? Well this isn’t for you so move along”. It accepts outdated, violent classics like The Killing Joke as what “comics should strive for” and sees newer, brighter comics (like Gotham Academy, Ms. Marvel, and the new Batgirl run) as the Big Two pandering to get new readers. Instead of getting all up in arms about female fans that got into comics because of the MCU or kids that got into it because of the Disney/Marvel cartoons, why not put gatekeeping aside and get excited about people getting into comics. Because the more people that are reading comics, the more comics that will be made. It’s simple economics. That’s the best way to protect what you see as a dying industry, not harassing young women until they feel like they’re suffering from imposter syndrome and decide to never pick up a comic again. This entry was posted in Rants and tagged comic book culture, fandom, gatekeeping. Bookmark the permalink.